I had the pleasure to chat with a gifted young woman called Poetic Old Soul, to discuss her very first book ‘Poetic Like Me’. We talked about any and everything. So sit back and enjoy the interview and please leave a comment below. Make sure you pick up a copy of her book. Rainbow Lit: Poetic, please give the readers a brief bio on you the person and Poet/writer? 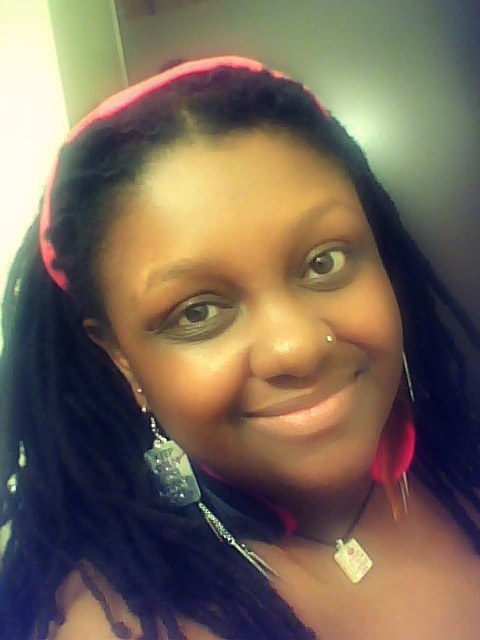 Poetic Old Soul: I am a poet, spoken word artist, a YouTuber of 3 going on 4 years, and I am a published author. I’ve been writing poetry for over 10 years, started performing on the open mic back in 2001, done a little bit of poetry slamming, and frankly, I’m a raw and real sistah who tells it like it is, but has a very big heart and an empathy spirit. I am one of the contributors to “Letters to My Bully”, published by Glover Lane Press. I’m from the Bay Area, born and raised and my goal as of now is to reach out to the community and tell others about my book, “Poetic Like Me”. Oh yes, I also have a 2nd book coming out soon called “A Divine Love High” & I am very excited about that! Rainbow Lit: Where did the name ‘Poetic Old Soul’ come from? Poetic Old Soul: Originally, my spoken word name was “Versatility”, but people have always say, “you’re way ahead of your years” or “you are such an old soul”, and since I love poetry & I consider myself very “poetic”, I thought, “why don’t I put ‘Poetic’ and ‘Old Soul’ together?” So in 2005, a new spoken word name was born: Poetic Old Soul. Rainbow Lit: Tell me about the title, ‘Poetic Like Me’? Poetic Old Soul: I really love this question! I was at a Black Lesbian retreat called BLU back in 2010 & was surrounded by a few of my roommates; we were talking about what we want in a woman, and so I was telling them how I wanted a good woman in my life who’s kind, respectful, etc. …and then I said, “I want a woman who’s poetic like me…”, and one of my roommates said, “That’s should be the name of your next book!” (mind you, I had a self-published chapbook out already)…I was really digging the name “Poetic Like Me”, thus writing it down & knowing that’ll be the title of my published book. Rainbow Lit: Tell the readers about your first book of poetry ‘Poetic Like Me’? Poetic Old Soul: I actually released a self-published book that was handmade called “Versatility: Introducing Poetic Old Soul” back in 2009, but I guess “Poetic Like Me” is considered my FIRST published book after all LOL. My poetry book is a series of poems that were written between 2010 and 2012, and it’s filled with love, joy, peace, as well as struggling with mental illness & losing a Mother. I wrote this book because I wanted to reach out to ALL COMMUNITIES, to tell them that, “hey, you’re not alone in what you’re going through” in form of poetry. Rainbow Lit: Where did the idea for this book come from? 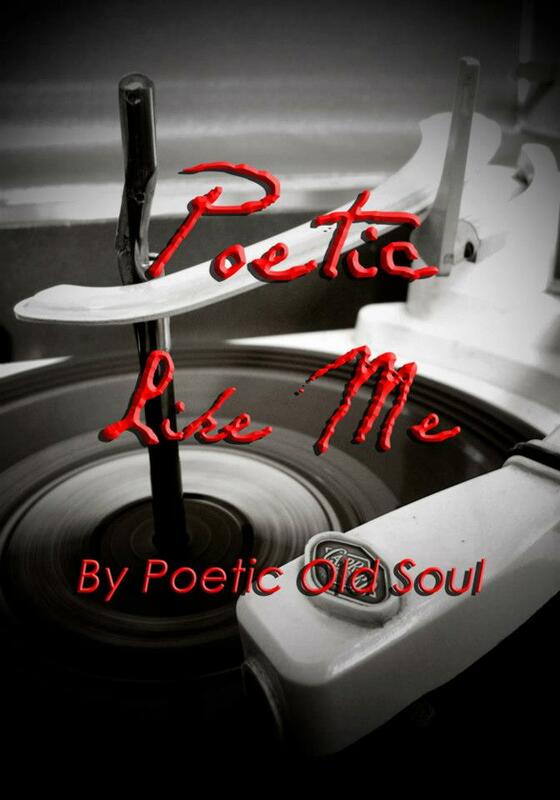 Poetic Old Soul: Well, as I stated from the last question, “Poetic Like Me” is filled with poems of life situations that I know that anyone can relate to, but it is also my way to share my words to the world, for I LOVE poetry with a passion. Rainbow Lit: Is writing poetry like running water to you or do you have to be in the mood or let the spirit guide you? Poetic Old Soul: Honestly, it’s a combination of all *laugh*! There are times where the spirit tells me, “WRITE THAT PIECE!” that’s flowing in my head and right away I write, and sometimes I’m just not in a writing mood because I don’t want to force it…and other times it just flows, it just comes to me so naturally, I treat it like it’s a free-write & just…let go. Rainbow Lit: How/Why did you decide to become a part of Glover Lane Press family? Poetic Old Soul: I actually found Glover Lane Press/Azaan Kamau through a Facebook group called Between Women; I saw Azaan Kamau posting a comment to a photo and I thought, “She is HANDSOME!”, so I felt compelled to go to her page, saw her cover saying “Glover Lane Press” & right then and there, I knew that she would be my publisher. I contacted her, telling her about myself, my poetry & the fact that I wanted to be published & immediately she replied. I knew that Glover Lane Press was the right publishing company for me, being that it represents the LGBTQ community (mostly Same Gender Loving Women of Color, although it’s for everybody who is passionate about being published) & how it is such a positive, uplifting company to be part of. Rainbow Lit: As a poet, what is the most important lesson or message that you try to impart to the reader? Poetic Old Soul: Just be yourself & don’t EVER give up on what you are passionate about, whether it’ll be poetry, cooking, making music or otherwise! When you feel something in your spirit to do what you love, don’t give up on it, just find a way to shine & never apologize for your passionate dream.